During winter, my skin gets pretty dry… sometimes even to the point where it gets a little flaky. So annoying! Because of this, I often forgo makeup when I’m not doing anything special because a lot of product doesn’t look great over my dry skin, and I want to let my skin breathe. 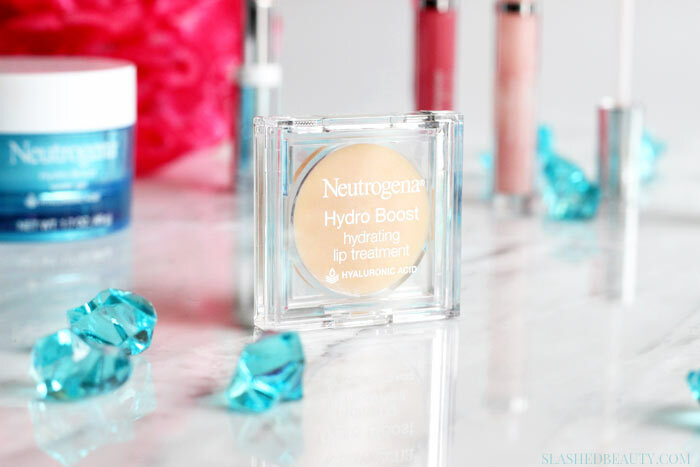 About a month ago, though, I was introduced to the new additions to Neutrogena’s Hydro Boost hydration-infused makeup and skin care line that help you achieve a beautifully fresh, flawless look all day while improving your complexion! The entire collection is made with purified & hydrating hyaluronic acid, which is naturally found in skin and acts as a sponge to plump and moisturize dry skin cells with up to 1000 times its weight in water. The end result is smoother and more supple skin. 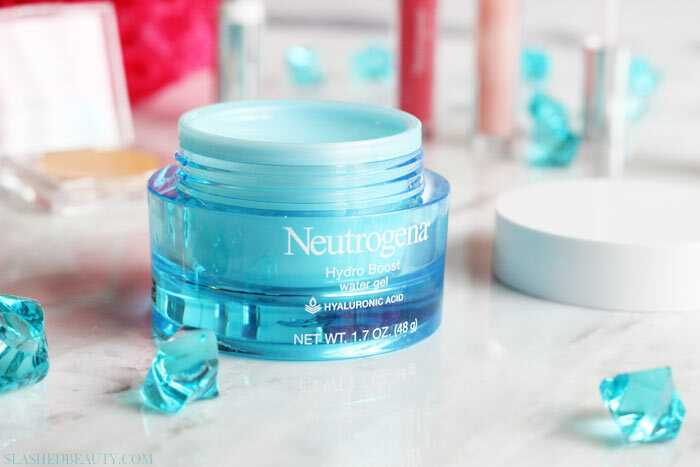 The line started with the Neutrogena Hydro Boost Water Gel, which I’ve been a fan of since it’s launch a couple of years ago. It’s an extremely lightweight moisturizer that still packs a mega moisture punch. It instantly absorbs to quench skin and locks moisture in for 48 hours. I love using it at night for that reason, since my fiancee likes to run the fan which tends to make things more dry. I can wake up after using this with skin that still feels soft and hydrated. The best part: it doesn’t feel greasy… my skin just feels healthier after I apply it. The product I’m most excited about out of the new additions is the Hydro Boost Hydrating Tint. This hydrating foundation gives you medium coverage with a natural finish in a water-gel formula that’s light and comfortable to wear. Because it actually hydrates your skin while wearing the foundation, even my dry skin looks great wearing it! It’s oil free and non-comedogenic so I know it won’t clog my pores. It looks and feels great all day while keeping my skin hydrated. 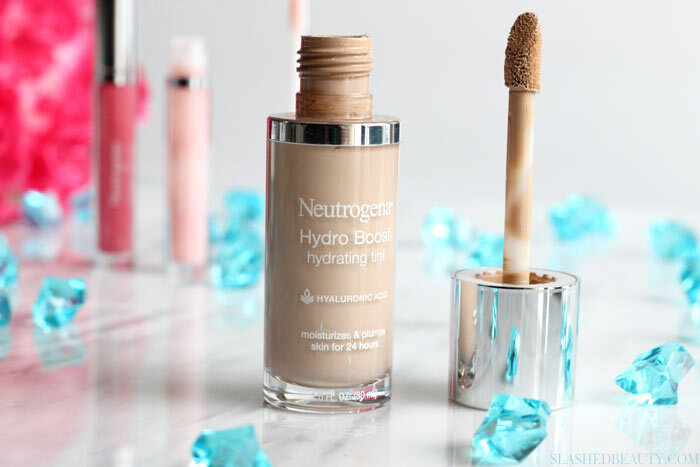 Another cool new product is the Hydro Boost Hydrating Concealer. One of my biggest pet peeves with under-eye concealer is that it can settle into fine lines and look dry— but not this one! 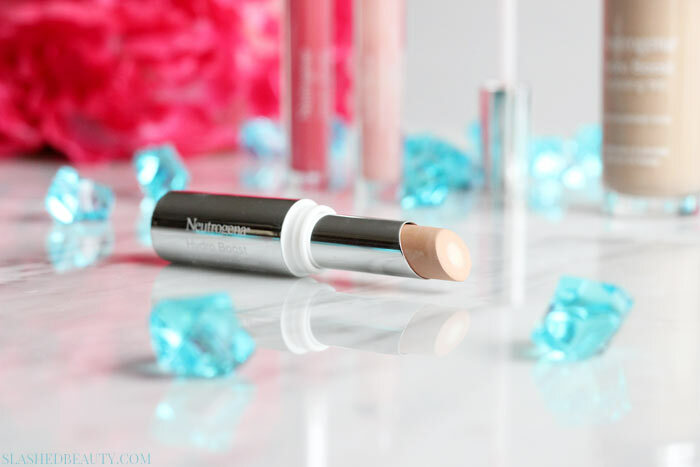 It has a unique hydrating core designed to moisturize skin while adding natural looking coverage that’s not greasy or heavy. It glides on with a silky smooth formula and blends out really easily to cover dark circles for a fresh look. They also just launched the Hydro Boost Hydrating Lip Shines, lip glosses that give a good amount of color with a whole lot of moisture. It’s not sticky, which is one of the biggest reasons I love these. 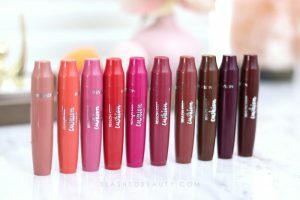 They’re comfortable, non-drying, and fills in the lines on my lips so that they appear soft, full and smooth. 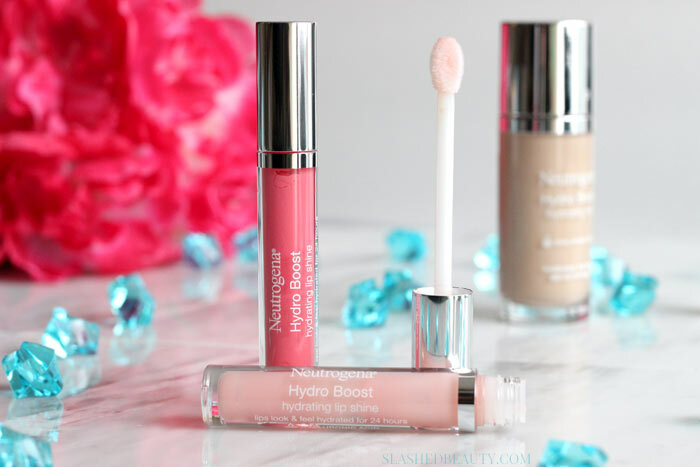 Finally, Neutrogena added the Hydro Boost Hydrating Lip Treatment which instantly conditions lips and locks in hydration for a smooth and improved texture. My lips look and feel hydrated all day when I’ve applied this! You can find these products— and watch my tutorials on how I use them in my routine— now on Walmart’s site. They help me create a perfect base for the rest of my makeup, making my skin look and feel hydrated and healthy. Now I don’t have to feel guilty about wearing a full face of makeup, because my skin is still getting the TLC it needs! How do you create a great base for your makeup? Looking to try different concealer brands. I’m using currently the Maybelline Fit Me! and it is great! Have heard Boots/No.7 also makes a good one and live their products so far. Neutragena will be next. Thanks for the tips! It’s super silky, I hope you like it! 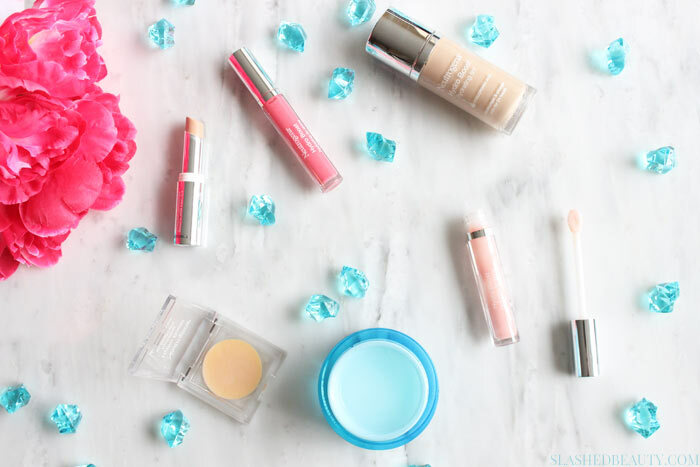 Here are some more suggestions in my “Best Concealers” post! Girl you look amazing! can’t wait to pick these up! The tint foundation sounds nice. You look so pretty! Ok I want to try that Foundation! I create a base for my makeup with a nonsilicone primer or moisturizer, depending on what the temperament of my skin is that day! Neutrogena makes great products. I need to try the Hydro Boost Hydrating Tint. It sounds ideal for dry and even my maturing skin. If it works for me, It would be lovely to have an affordable foundation option. These are great additions to the line! I have the same problem with my skin during the winter so I have to work overtime to keep it looking a little bit healthy. I’ve never tried anything from Neutrogena except their make up wipes and I love those. The under eye concealer here sounds awesome though. I would love to give that a try. 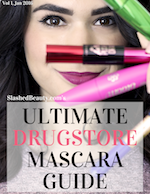 Neutrogena is one of my favorite drugstore brands! It’s one of those brands that when I see something new, I need it all. Every shade of makeup is so crisp and clean!